Am I frightening these geese or what? 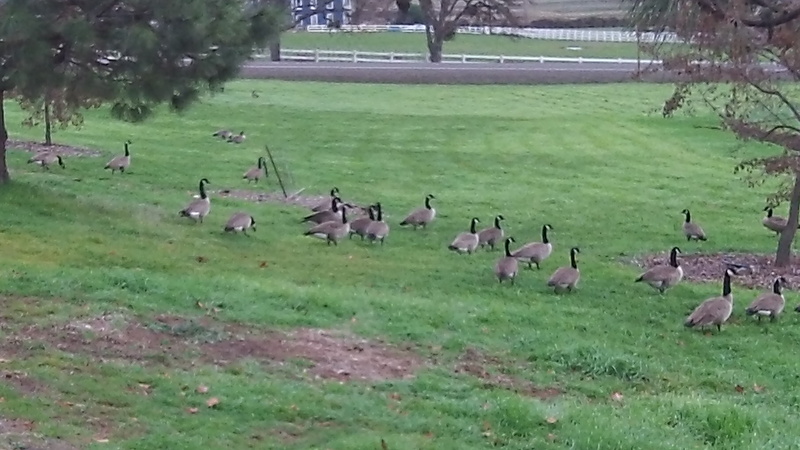 Here I was riding my bike outside Jacksonville in southern Oregon on Sunday when I spotted a gaggle of Canada geese in a meadow by the side of the road. I stopped to take a closer look, but as I did, the birds — all of them — waddled away from me. Having been born in Applegate, OR and spending most of my life in the Rogue Valley, I find the beautiful scenery in the background more interesting than the Canada geese! My dream is to get a photo of Mt. McLoughlin and of the Table Rocks unimpeded with phone and power lines. The views from Old Stage Road near Jacksonville have breath-taking scenery.